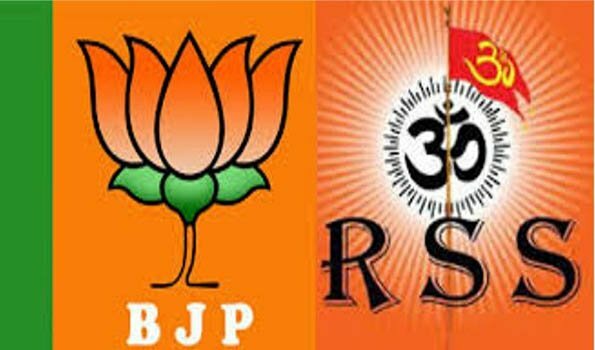 New Delhi: Even as the BJP poll managers and strategists are working hard doing the post mortem of factors those led to poll debacle in the three Hindi heartland states, the RSS mouthpiece 'Organiser' has suggested that the saffron party should get its together vis-a-vis the core issue of Hindutva. "Prime Minister Narendra Modi and his development policies are indeed the vote catchers for the BJP, but the glue that binds the core is Hindutva," said the popularly read magazine 'Organiser'. In its editorial on the recent assembly elections outcome, it also says that - :"The core ideological plank (of Hindutva) becomes all the more critical when the Congress is trying to shed away its secular and 'pro-minority' image by playing the counter version of Hinduism". In this context, it says - "The real challenge for the BJP (in days to come) will be on how to present the development and the Hindutva as 'complimentary' to each other under the leadership of Modi". The editorial of the weekly further says that the growing number of preference of None of the Above (NOTA) preference is a matter of 'concern' for the country as a democracy. In this context, it maintains - the performance and electoral outcomes get 'delinked' and instead "emotive fake narratives on divisive lines or the politics of freebies" get obvious preference. In one of the feature stories, the magazine refers to Congress President Rahul Gandhi 'wearing' saffron dhoti during campaign and says this was something new for the 130-year old party as no senior Congressman did such a thing between 2004 and 2014.